The loop walk around the entire Great Blasket Island is a moderate to strenuous 5 hour (13 km) walking route along the amazingly scenic tracks on this uninhabited and historic Island at the western end on the Dingle Peninsula, County Kerry in the southwest of Ireland and on the western fringes of Europe. This walk takes in the summit of An Cró Mór (292m). Be aware that the length of the island can be deceptive and you should keep an eye on the time. You should also take care as there are high sliffs all around the island. If you want to do this walk, then you should get the earliest ferry to the Island to ensure you ahve enough time before the last ferry. There are also some shorter loop walks on the Island if you're stuck for time. 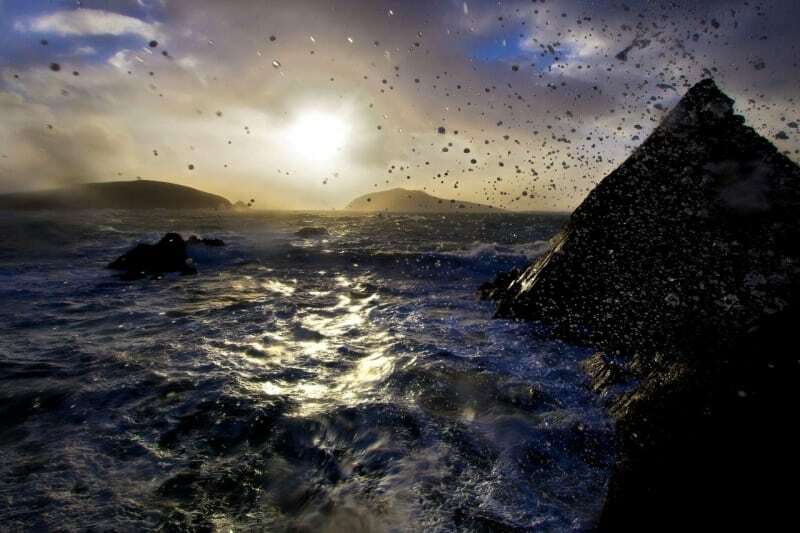 The Blasket Islands in County Kerry are a group of 6 islands off the west coast of Ireland. 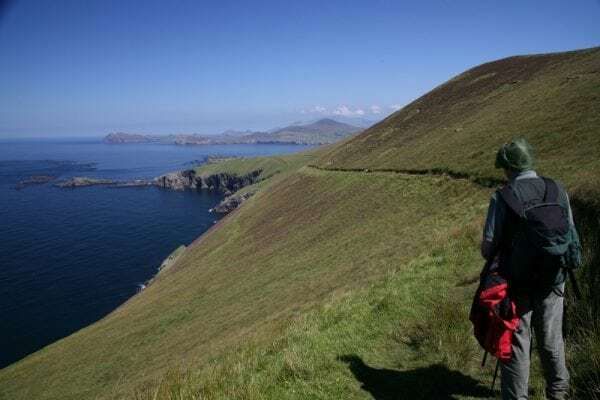 The biggest, known as the Great Blasket Island is approximately 6 km and a maximum height of 292 metres at An Cró Mór mountain. The islands were inhabited until 1953 by a completely Irish-speaking population until they were abondened due to safety issues when finally a young Islander died when he couldn’t be taken off the island in bad weather. The small fishing community on the island (even at its peak the population was hardly more than 150) mostly lived in primitive cottages perched on the relatively sheltered north-east shore. Despite its close proximity to the mainland the sea and mist can be notoriously dangerous here. 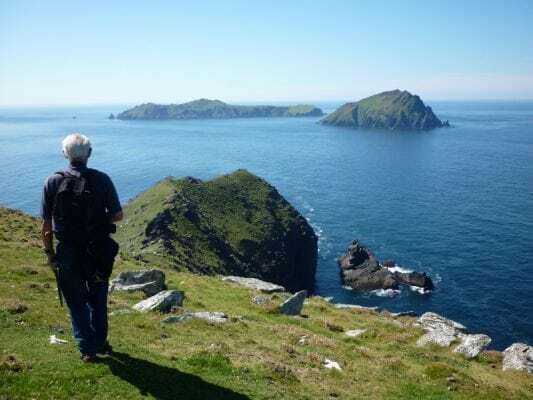 The island lies approximately 2 km from the mainland with a ferry service from Dunquin Pier to the Great Blasket Island during summer months (usually €20 per person return). Use our Map of Ireland and Sat Nav tool to get directions to any of the stage start points and our detailed maps and GPS on our ActiveME App to find and follow the walking route live on screen and keep on track. At all times, our maps and App should be used in conjunction with proper map and compass navigation techniques. Feel free to send us your photos and add you own star rating, comments or suggestions below.